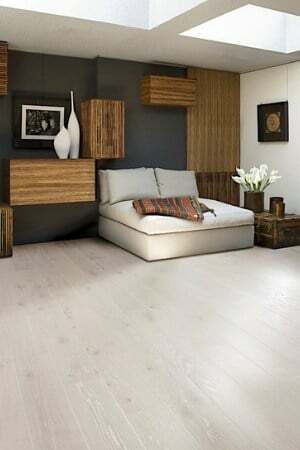 Whitewashed hardwood floors are stylish again and quickly growing in popularity. These floors give a light, fresh and airy look for coastal decor, contemporary, modern farmhouse, Scandinavian decor or shabby chic styles. 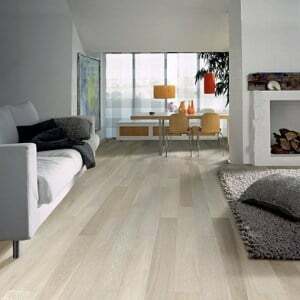 The whitewashing gives a nice touch of color while still showing the graining and natural beauty of the wood. These floors are sometimes referred to a pickled floors, but whitewashed floors sounds more sophisticated. This time around they look much better and last longer as the technology for the stains and polyurethanes have improved. And, this time around, the strong preference is for matte finishes which look more contemporary and are easier to maintain (shiny floors are very dated). These floors require water based polyurethane which smells less and dries faster. I’m going to share the best stains, sealers and polyurethane to get the most up to date looks, and to help the floors last longer. And, I’m going to disspell some myths and bad information on the internet. Please note that some of these pictures contain pre-finished whitewashed hardwoods. Some of these contain links to “shop this floor” and you can then find more info about those floors and where to buy them. Okay, as I’m sure you know, there is a lot of wrong and misleading info on the internet and some of the articles I found made me gasp. Not only are they wrong, but they can cause permanent damage to your floors. The biggest mistake you can make is use paint when you whitewash floors…even if it’s a mixture. Yes, I found this on a high ranking article. Do me a favor and NEVER, let me repeat NEVER use paint of any sort on your hardwood floors! Well first, paint will not allow the poly to properly adhere to the wood, as the paint will sit on top of the wood (vs a stain will fully penetrate into the wood). So, your floor won’t last as long and the polyurethane may peel. Second, and equally as important, if you add paint to the floor, it will seep through the cracks of the wood (between the planks) and will live there permanently. Yes, this paint will not sand out the next time you refinish the floors…nor the time after that…nor the time after that. So you will have white lines forever. And, yes, I have seen people do this…and yes some of them had to fully replace the floors (after refinishing 3 times and then realizing it would never come out. JUST DON’T DO IT. And, don’t trust any article, contractor or store that recommends this to you. 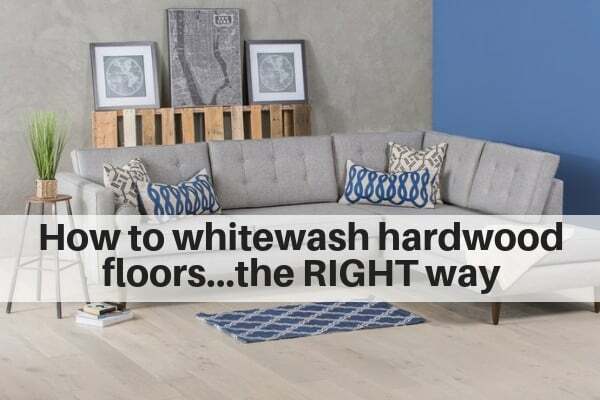 I will share with you the right ways to get a whitewashed look so that it looks better, lasts longer and doesn’t damage your hardwood floors. There are 2 basic ways to get a whitewashed look on hardwood floors, pending on how white vs. how subtle you want the floors to look. The best white stain we’ve found is Bona White. This is much whiter than the white stain options from Minwax (pickled oak) and Duraseal (country white) . We have found those to be a bit too watery, so they aren’t as translucent or white as most people expect. They are too transparent. If you like the way the Minwax or Duraseal stains look, go for it. But, most people seem to be disappointed as they aren’t white enough. For Bona White, you’ll need to buy that from a local flooring store. It’s a specialty item, so do not expect to find it at a big box store or a hardware store. When you’re looking for a light and subtle white washed look, you can use a tinted sealer. I recently wrote about Bona NordicSeal in this article. This is wonderful new product that gives a pale white tint. (See picture below and check out more details in the above article). 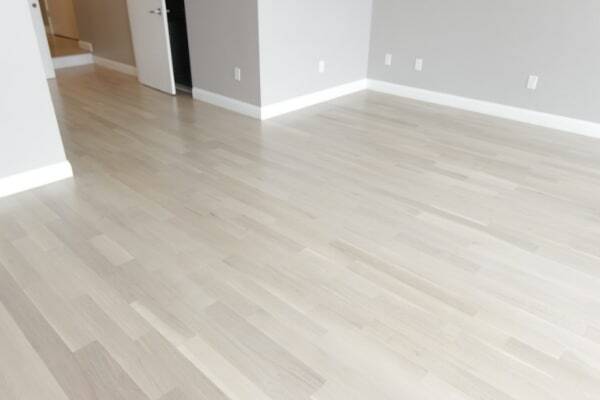 These floors were refinished by Gands Hardwood Floors (Thank you Sye) in East Boston , Mass. These are 4″ white oak rift and quartersawn planks with 2 coats of Bona NordicSeal and 2 coats Bona Traffic HD. Aren’t they exquisite? I love this item as it allows you to customize how white or how subtle the color is, and it’s a simpler and faster process vs. staining. If you want a light whitewashed product, Bona NordicSeal is a fabulous option. Note: There is another potential variation on both of these options, and that is to use bleach. Often, you might add bleach if you have red oak hardwood. You would use this to camouflage the pink. (More about this later). When you use a whitewash, you MUST use a water based polyurethane. If you use an oil based poly, it will turn your floor yellow, so don’t even think about it. Water based polyurethane is more expensive than oil based, but you’ll be happy to know that it dries faster and doesn’t smell as much. The best water based brand on the market is Bona Traffic HD. It looks better than other water borne polyurethanes and yellows less over time. It’s the most durable and has the lowest VOCs (volatile organic compounds). It also smells less and dries as well as cures faster. It does cost more than other water based polyurethanes, but it’s worth it as it will last much longer. When you’re going with a whitewash look, the polyurethane you use is critical. You can read more about the best brands water based polyurethanes here. You can find Bona Traffic HD on Amazon here. It’s important to understand which species of hardwood you have…or intend to buy. Whitewashes (as well as grays, greiges) work MUCH better on white oak rather than red oak. The main reason for this is that red oak has red undertones in the wood, so when you add whitewash, your get a bit of a pink look (which is very unappealing for most). So, if you want a whitewashed look (or even a light to mid gray), you’ll want to take an extra step and bleach the floors first, to camouflage the pink. This will take more time and cost extra. If you don’t do it, chances are, you won’t be satisfied with the look. 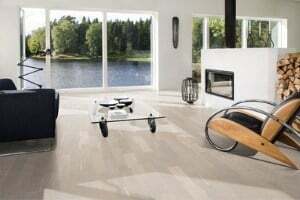 The other reason that white oak looks better, especially for whitewashed (and gray floors) is the graining and mineral streaks looks more modern and contemporary. Red oak has stronger graining and gives a more traditional look (which is often in conflict with the modern whitewashed look. So, if you’re choosing new wood, and considering a whitewashed look, I’d strongly recommend using white oak, rather than red oak. In addition to above benefits, I will also add that white oak is a bit stronger than red oak and it is more resilient to water due to it’s construction (so it’s a better choice for kitchens). 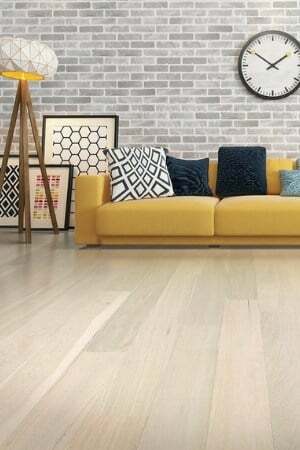 And, white oak, despite the name, tends to be a tad darker and accepts dark stains better, so it’s much more flexible for stain color choices, so it will give you more flexibility in color choices both for now and for later. What if you already have red oak installed in your home? If you have red oak floors already, you have the option of bleaching your floors to cancel out the red undertones in the floor. This will smell, and it will take extra time and cost extra money. But, I want you to remember, that you also have the option of not whitewashing your floors. You could go natural or you could even do a darker stain. Do not feel obligated to stick with a whitewashed floors. Test the stains on the floors, and then decide. Also, you should note that these options will probably be easier and less expensive. When you are whitewashing the floors, you sand them in the same exact way you would sand floors for other stain colors. You would want to make sure you have the right equipment (see; sanding the floors yourself vs hiring a professional). You would sand the floors 3 times with finer and finer grits. Typically, you would start with 36 grit, followed by 60 grit and then 80 if you have white oak, or 100 if you have red oak. This would vary if you have other species. Yes, there are some articles out there giving more advice, including the misleading article that tells you make a paint solution. This article recommends you get on your hands and knees and sand the floors by hand with 180 grit sand paper. Again, do not follow the advice of this article (which is NOT written by a flooring professional). Regardless, in general, you will be better served by hiring a professional to sand your floors as they will come out way better, and the job will be done much faster. If you do yourself, you’ll need to rent the equipment (5 machines) and they will lower quality than what the pros use. And, when you do the math for the equipment and materials, you will not save much money. But, you will notice a huge difference in the quality of the results. And, you will notice a MUCH larger difference between DIY and professionals when it comes to whitewash. It isn’t uncommon to see do-it-yourselfers attempt this and see a ring of white around the perimeter of the floors as most DIYers (or handyman or contractors) don’t know how to blend the perimeter with the main part of the room. But, don’t just hire any contractor. 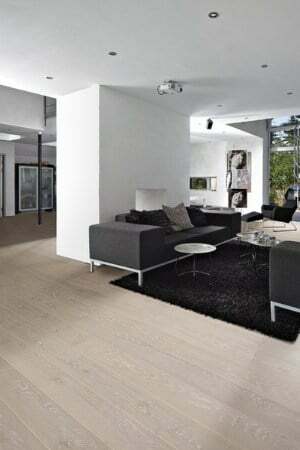 Make sure you hire a professional flooring expert with a lot of experience with whitewashed floors. They are trickier compared to natural or regular stained hardwood floors. How long should you wait before walking on the floors after you refinish? 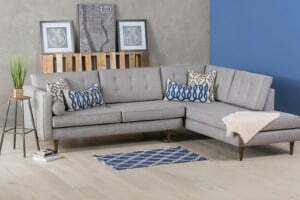 How long for furniture and area rugs? Assuming you are using a water based poly, the drying and curing time is much faster than oil based poly. While the bottles will recommend that you can walk on the floors after a few areas, ,you should recognize that each addition coat of poly adds on more drying time (just like nail polish does) and it can vary based on humidity, so I always recommend that my customers wait 24 hours before walking on the floors…to be safe. When you walk at the floors at the 24 hour mark, it should be socks only (no shoes and no bare feet). At the 3 day mark, the floors are dry enough to add furniture (or drop cloths). 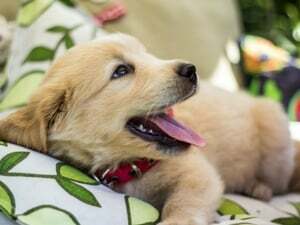 But, do not add area rugs, or mattresses that will do directly on the floors, as they will not allow the floors to properly breathe and cure. Also be careful with drop cloths and that they don’t stay on the floors too long during the curing process. It’s ideal to remove them at the end of day, if possible for proper curing. (see more about curing and how it differs from drying here). At the 14 day mark, the floors should be fully cured. (Some manufacturers will claim 7 days, but 14 days is MUCH safer especially as this time may vary based on humidity levels and air circulation within the house). So at 14 days, you can put area rugs (and area rug padding) back on the floors. Also, and don’t shoot the messenger, if you have a dog, you should wait 2 weeks before he or she walks on the floors. 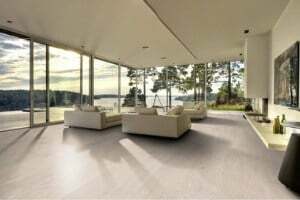 I know it sounds crazy and most contractors neglect to mention this, but you should wait as they can easily scratch the floors while they are curing (as the floors are very vulnerable during the drying and curing process. Be thankful that it’s only 2 weeks with water borne poly; it’s 30 days with oil based poly. But, here’s a great solution that many of my customers use….doggie socks! (And, yes, they also make doggie boots for the winter, which may come in handy if you live in a city and want to protect those precious paws from the salt). 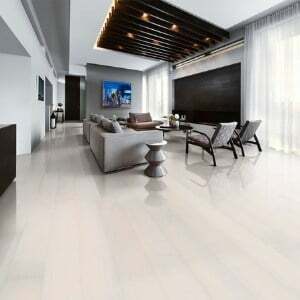 Whitewashed floors can make a big statement in your house and it can add a fresh and modern style to your home’s decor. Be sure to use the proper stains (and avoid paint or paint mixtures at all cost) and a high grade water borne polyurethane. And, check to make your flooring contractor has experience with whitewashing floors and feels comfortable achieving this look…otherwise, you may end up doing the job twice. What is best water borne polyurethane? When using 2 coats of NordicSeal, do you buff between coats? I just answered this on another post, but no, you would not buff between coats. See this article on Bona NordicSeal and check out the video demonstration. hi debbie, i just put 2 coats of commercial catalyzed sealer, and 2 coats of catalyzed satin, both products are water based, and is made from one of the best companies that you have suggested. I’d rather not say the company because problem is not with them, it’s with the distributor that sold me the product. So the problem is the 4 gallons of sealer they sold me is dated 2015, 2 gallons of the satin is dated 2016 and 4 gallons of the satin is dated 2017. these all have a shelf life of 1 year, which makes the sealer 4 years old… This was put on 1100 sqft. of white oak stained white.I’m afraid this could give a problem down the road because i don’t know how well the sealer( especially) bonded to the stained surface due to being 3 years past the shelf life.Should be sanded back down to bare wood and start over, or is ok to put 2 more new coats of satin over the 4 out dated coats..
Brian – On the surface, that doesn’t sound so good. However, it may not be an issue. I’m not a tech person, so I can’t tell you for sure either way (and it could depend on how the product was stored. If I were you, I would call the tech department(s) at the manufacturers to get the really reallies. My installer does this work and I don’t know the exact process for bleaching. He is away for the holidays (out of the country) and returning in January.